The Thonet No.18 has also been referred to as the Vienna Café chair and was the creation of Michael Thonet and Sons. 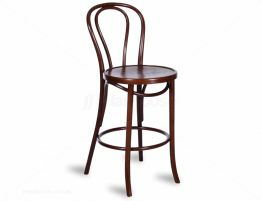 Thonet, a German cabinet maker, pioneered the design and manufacturing of bentwood furniture. Thonet’s experiments with steam to make the wood bendable allowed for totally new forms to be created. 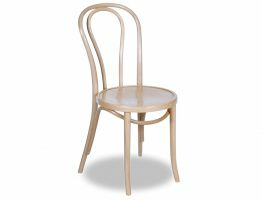 Thonet’s bentwood designs were created with just one piece of wood forming the chair’s back rest and back legs, then a separate seat and front legs attached. The No. 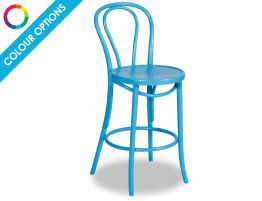 18 Vienna café chair has informed the look and feel of every bentwood chair that came after. The Relax House authentic Michael Thonet designed original Bentwood Vienna 18 chair is expertly crafted in the very same factory that has been bending wood for Thonet for over a hundred years. 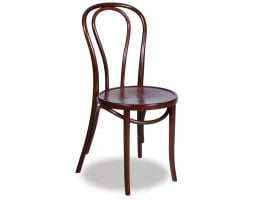 This means the bentwood chair you get is an original Michael Thonet design and made the same way, in the same place, by the same people. The same quality that has defined the designs of Michael Thonet for well over a hundred years is not a thing of the past. 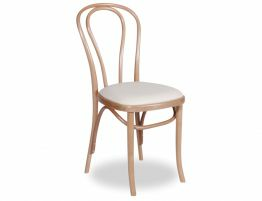 With storied European history and a solid reputation, the Thonet No.18 bentwood chair is considered the quintessential Viennese café chair and dining chair. Time is what decides truly great design and Thonet’s cadre of chairs continues to be staples of interior design. 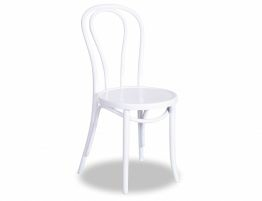 Because the authentic Relax House original Michael Thonet No.18 kitchen chair works well with many different table styles, it is perfect update for your kitchen.